The Fifth Judicial District Commission on Judicial Performance recommends 9-0 with one member absent that Judge Paul R. Dunkelman BE RETAINED. This is Judge Dunkelman’s first performance review since being appointed to the Fifth Judicial District Court in 2013. Prior to his appointment, Judge Dunkelman was in private practice with the law firm of Carlson, Carlson and Dunkelman, LLC with a focus in family, criminal, civil and business law. In addition to his private practice Judge Dunkelman was also an adjunct professor at Colorado Mountain College and the Town Prosecutor for the Town of Leadville. 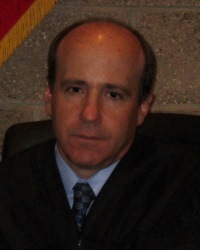 Judge Dunkelman earned his undergraduate degree from Colgate University and his law degree from the Sturm College of Law, University of Denver. Despite his relatively short time on the bench Judge Dunkelman is already being recognized as one of Colorado’s best District Court judges, winning the 2014-2015 Judicial Officer of the Year for the Fifth Judicial District and being nominated for the 2015 Judicial Excellence Award by the State Judicial Department. Judge Dunkelman believes community involvement is also important in his role as District Court Judge. His recent community involvement included working on the planning committee and faculty for the Domestic Relations Institute and volunteering as a Mock Trial Judge for the Mock Trial Western Slope Regional Tournament. The Commission had a very high opinion of Judge Dunkelman and that opinion is obviously shared by those who appear in Judge Dunkelman’s courtroom. The Commission reviewed survey results of attorneys and non-attorneys who have appeared in Judge Dunkelman’s court, survey results from appellate judges, interviewed Judge Dunkelman and reviewed three of the Judge’s written opinions, as well as his self-evaluation. Members of the Commission also observed Judge Dunkelman in court. Of the twenty-five attorneys completing the survey, 100% recommended retention. Of non-attorneys completing the survey, 91% recommended retention, 5% recommended against retention, and 5% expressed no opinion. (These percentages may not total 100% due to rounding). Judge Dunkelman’s survey results, from attorneys and non-attorneys, also revealed an overall combined average rating well above that of the combined rating of all district judges standing for retention in every category including case management, application and knowledge of law, communications, diligence, demeanor and fairness.